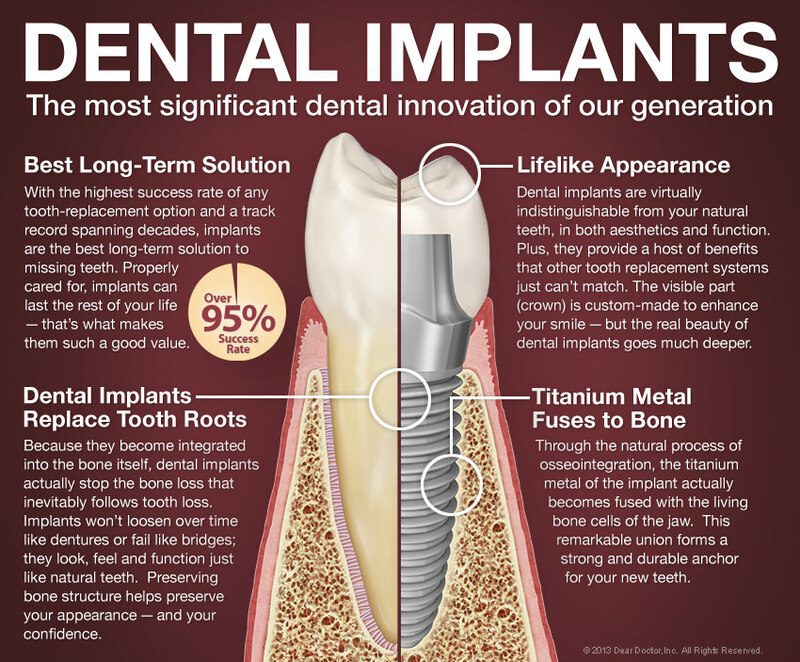 A dental implant is the equivalent of a prosthetic root that is surgically placed in the bone coinciding with an edentulous space (space caused by a missing tooth). 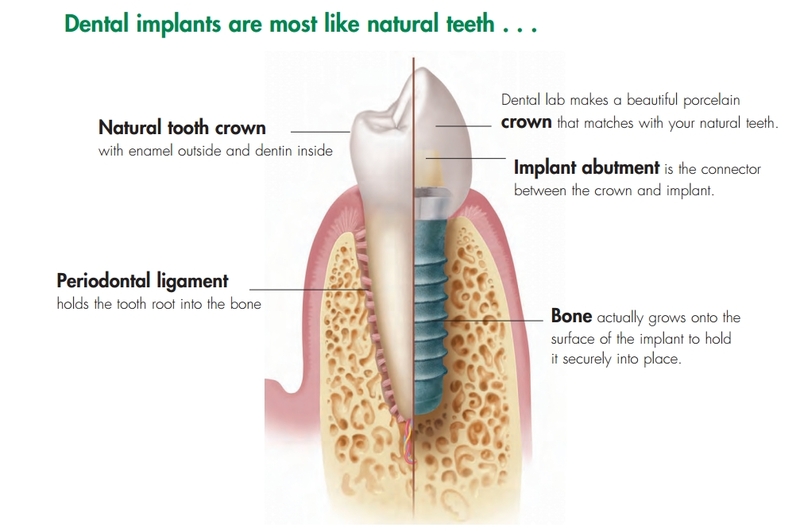 Once the implant integrates into the surrounding bone and is determined stable, an abutment (comparable to the large filling/core build-up placed in a natural tooth to serve as the basis for the retention of the coming crown/”cap”) is placed on top of the implant and then a crown/”cap”, very much like that made for a natural tooth, is secured over the abutment. A well-placed and restored dental implant can be indistinguishable for the general public from a natural tooth. A dental implant is today’s best option for tooth replacement since it is the option closest to a natural tooth. Trained in a surgical implantology residency through the University of Kentucky’s College of Dentistry, Dr. Hughes and team will determine at your smile consultation whether an implant is an option for your individualized dental needs. If so, the proper case planning will begin and will involve specialized records including intraoral photos, intraoral scans (for a computer generated 3D model of your mouth), and the appropriate radiographic imaging (a specialty 3D x-ray in most cases since this is now the standard of care). It should be noted that our office is the only in the area with said technology. All these steps will ensure that we are able to plan your implant with the crown down method utilizing the final intended crown as a guide for your implant placement seeing as a successful implant does not always mean a successful case since the end result (an ideal crown to replace the lost tooth’s function and esthetic) should not be determined by the implant placement but rather the reverse. This idea of planning your case based on the final restoration we wish to achieve is what makes us different. With our 3D x-ray technology and intraoral scanning for 3D computer generated models of your teeth and their surrounding tissues, we can plan, then perform your surgery in virtual 3D to better prepare for your actual surgery day. This allows us to also generate a precise surgical stint to assure that your implant surgery goes as safe, smooth, and quick as possible. The Tooth Booth has the latest and most state-of-the-art technologies in 3D radiology and implant planning and we are the only dental office in the area with such advancements. It is important as a practitioner in any health field to know when to utilize a team approach to reach the best possible treatment outcome. 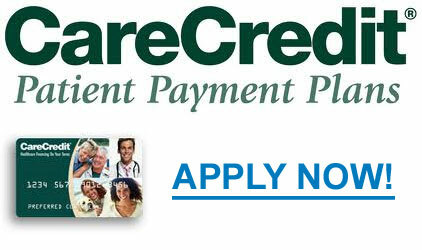 Dr. Hughes prides herself on her willingness to highlight what is best for our patients. In some cases, certain patients may need to be referred to a qualified collaborating colleagues (there are very good surgeons as close as Somerset that work closely with Dr. Hughes on an almost daily basis). In these cases, the specialist will perform certain aspects of your case and then you will be referred back to The Tooth Booth for the final restorative steps with Dr. Hughes and our team.